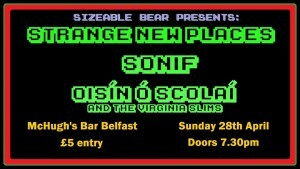 Sizeable Bear hold their second show at McHugh's on April 28, headlined by emo-punks Strange New Places. They're one of the finest young live acts around, and this is their first headline show since Halloween - listen to 'Trombone'. 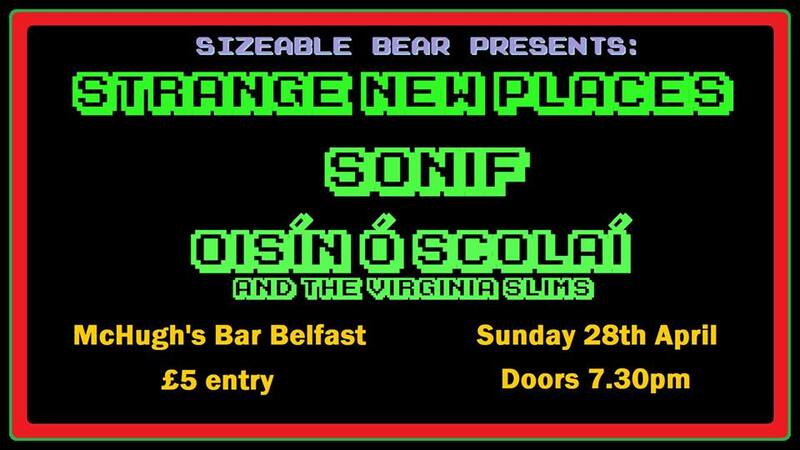 Lo-fi Dublin indie-electro project Sonif support - check him out on Bandcamp - as well as singer-songwriter Oisín Ó Scolaí and the Virginia Slims, who just released their debut album on Black Tragick Records. Admission costs £5 and doors open at 7.30pm.